Here are the current standings for CrossFit Open WOD 15.2. These are the standings for single WOD 15.2, not the overall standings ! The overall standing will be announced after all scores are in the system. 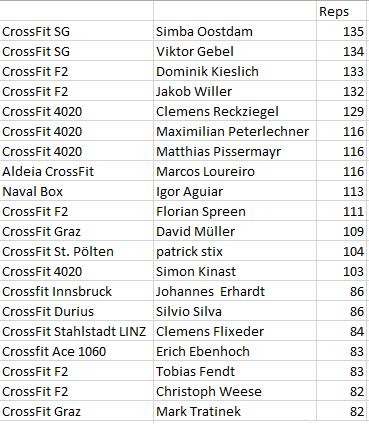 Simba Oostdam from CrossFit SG (Hannover, Germany) leads for the men with 135 reps and Lisa Lettner from CrossFit Innsbruck (Innsbruck, Austria) leads for the women with 142 reps.
On men side we still have no score from leading athlete of Wod 15.1 Miguel Tereno from CrossFit Oniria (Lisbon, Portugal), but according to games.crossfit.com scores he scored incredible 196 reps. So don’t forget to enter your score Miguel !! Congrats for this great score ! 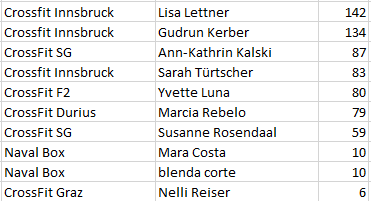 See the lists below for the people who are battling for new Reebok shoes and Wrist Wraps, and how close it will be. Copy & Paste Wods or Description? Willkommen an Board “CrossFit Manufaktur” aus der Schweiz! 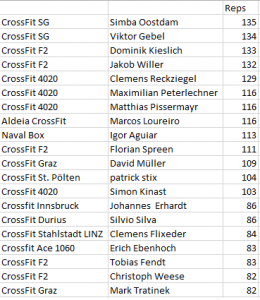 Die Eröffnungsfeier war bereits am 31.03.2019, aber CrossFit Manufaktur hat frühzeitig unsere Lösung zur einfachen Registrierung für Neukunden benutzt womit die einfachere Planung von Trainings möglich ist. Wir freuen uns Euch nun im offiziellen täglichen Box Alltag zu unterstützen. 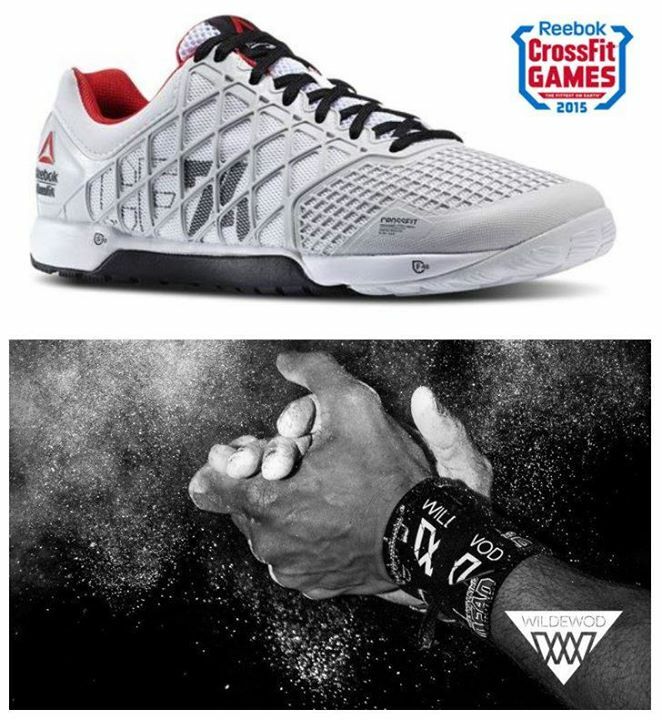 —- Welcome “CrossFit Manufaktur” from Switzerland! The opening party was just last week, but CrossFit Manufaktur started using our solution early. Our..
Vous parlez francais? Our latest update included the translation for French. 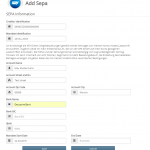 Additional new functionalities have been included as well. 1. Disable Facebook Images for your members to have the possibility to upload images for your members 2. Deny User from editing/removing personal details so owners can keep proper records 3. Deny User from uploading his/her own picture in case you want to have standardized pictures for everyone. 4. Preparation for location/timezone feature And as always some bugfixes..
New Week New workout! Week 4 of the CrossFit Games Open are here! Using our CheckIn Screen Allows you to see your signed in members, the scheduled workout and the tracked scores of the day. We conveniently created the 19.4 workout and the template for you, so you can track your score and assign it to your classes. If you are an owner and would like to do it on a different day then simply change the date. Have Fun and let’s see those results! 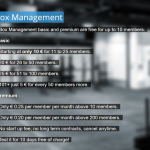 #Boxplanner #CrossFit #InTheOpen #19point4 #GymManagement..